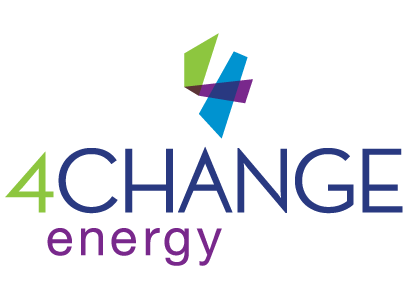 4Change Energy is a retail electricity provider that was initially launched in 2012. It’s a subsidiary of Energy Future Holdings, which was formerly known as TXU Corporation. Energy Futures Holdings also owns Luminant, a competitive power generation company, that owns several coal and nuclear power facilities throughout the state of Texas. Indirectly, Luminant also owns 80% of Oncor, but they report to a different management board. You’ll find that 4Change Energy rates are actually quite competitive. The company offers both fixed and variable plans. Renewable energy options are also available. It’s important that you take time to compare 4Change Energy rates so you find what’s best for you. When you compare 4Change Energy plans you’ll find that their electricity rates are consistently among the lowest energy rates available in Texas. While they do charge a cancellation rate, it’s also quite low. It’s good to know that 4% of the company’s profits go to charitable organizations in Texas. There are limited customer service hours. When you contact customer service through some other way than their online chat you’re charged more. You can also read more about 4Change Energy reviews and their standing with the Better Business Bureau. As you look at these reviews you’ll find that they have an A+ rating, because they’ve only had a few complaints – all of which they’ve successfully resolved. One of the first things you must understand before you compare 4Change Energy electricity rates with other companies, is that you must actually live in one of the areas they serve. Otherwise, there’s no reason to look at at their electricity rates. The areas that are covered by this company include those areas that are serviced by AEP Texas, CenterPoint Energy, Oncor, Sharyland Utilities, and Texas-New Mexico Power. Once you’re sure you can use 4Change Energy, you must also understand what base charges are involved, so that you can clearly understand how to compare their rates. Companies that offer electricity plans without a base charge always charge the same price (in ¢/kWh). This means that regardless of how much energy you use you’re charged this same base rate, but it does change depending on if you use 500 kWh, 1000 kWh, or 2000 kWh. While 4Change Energy claims they don’t have a base charge, they do. Customers who use over 999 kWh per month will receive a $20 credit towards their rates. In other words, when you compare 4Change Energy electric rates you’ll see that you’re actually charged less money when consuming more energy. Furthermore, you can also receive a $25 credit every time you refer a friend who then switches their service to this company. Before you choose your plan and the electric rates you’ll pay, it’s important that you understand the difference between fixed and variable rates. With fixed electric rates you’re given a fixed amount of money you pay each month per kWh for the entire length of the contract. With 4Change Energy once your contract is up at the end of the year you’re automatically switched to variable rates. The fixed rate electricity plan is definitely the one you want to choose, because it makes it easier to compare 4Change Energy rates. Just make sure that you know when your contract’s end date is so you don’t get switched to variable rates. On the other hand, with variable electric rates, the price that’s applied will change with each bill based solely on 4Change Energy’s discretion. This is how the plan gets its name, because the rate (in ¢/kWh) varies every month. For this reason, you really should not consider going with variable 4Change Energy rates. Residential fixed electricity rates are available for your choice, including 3, 6, 12, or 24 months. Variable rates are available and they change every month. Green plans offering renewable energy are also available for those concerned about how their energy usage impacts the environment. It’s in your best interest to opt for fixed 4Change Energy rates. This isn’t only easier when you compare their energy plans, but when you read their reviews you’ll see the price can fluctuate a lot. As such, you can lose a lot of money if you don’t take advantage of the low rates 4Change Energy offers.